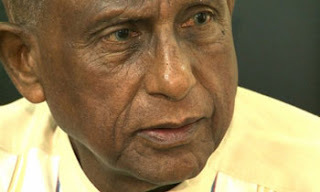 Buddhasasana Minister Gamini Jayawickrama Perera said parliamentarians who will vote against Prime Minister Ranil Wickremesinghe in the no-confidence motion should immediately step down from their governmental portfolios. be considered as blessing in disguise. “Even though a unity government was established, the government had faced several issues when arriving at certain decisions in an accurate manner even in the Cabinet due to the acts of some members who were standing on both sides,” he said. He said such actions had negatively affected the development process of the country and added that the people who were concealing could reveal themselves during the voting of the no-confidence motion against Prime Minister Wickremesinghe. “Accordingly, all the parliamentarians who are voting against Prime Minister Wickremesinghe should step down from their governmental portfolios,” he said.